Since creating these maps it is no longer possible to enter Syria. This means we will now have to try and find some other way from Egypt to Turkey. At the moment there are two other possiblities. The first is a ferry or merchant vessel across the Mediterrean. 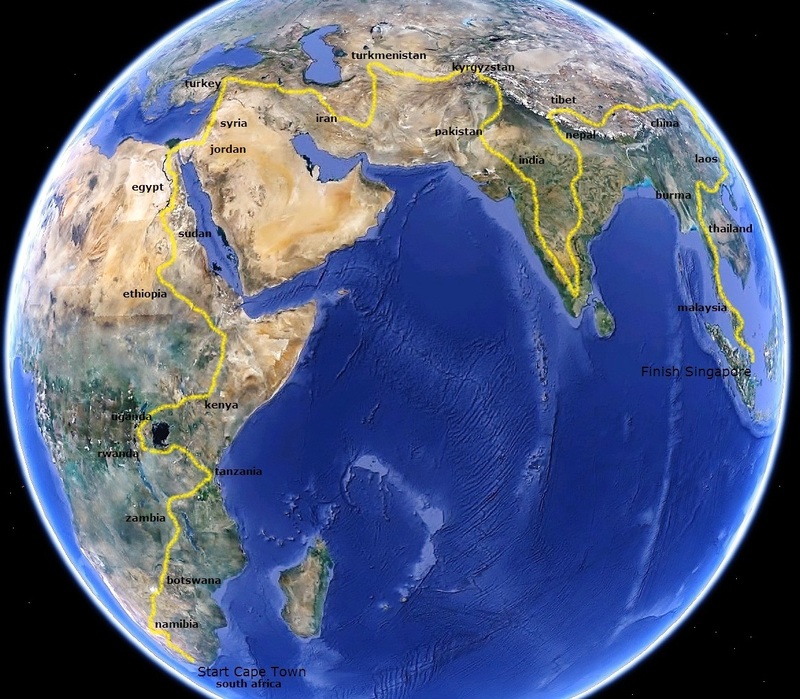 The second is to detour via Lybia and Tunisia and then get a ferry across to Italy and onto Turkey via eastern Europe. First post! This trip is going to be epic, I cant wait for the updates. Consider taking the big overnight ferry from Athens to an island near Turkey then another tiny one to Turkey next day…worked for me. If interested I can review log and see if I have more specifics. I think there is a ferry service from Port Said to Mersin.. It was a bit crude. Just got on Google Earth and played around with the zoom till I was happy. Then I just copied and pasted it into a simple MS drawing program then free hand drew with cursor the yellow line and added the names. As I said a bit crude but it worked out okay.